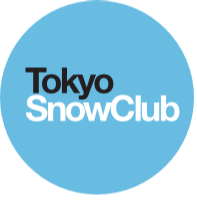 Large scale ski resort, heli-skiing option, onsens, free lessons, group party/stage karaoke event, ski-in ski-out hotel and more! This trip is great for anyone from first timers to advanced skiers & boarders. Tsugaike Kogen is the perfect resort for all levels of skiier/boarder. Very popular with beginners and intermediates, the super wide and uncrowded runs make it one of the best places around for learning or to level up. For the more advanced, Tsugaike also features many challenging courses, a good snow park and lots of powder tree runs. In March the resort also runs a high altitude ropeway opening up lots more terrain at the top of the mountain. Because of this you can be guaranteed good snow conditions here, even right into May! Tsugaike will also be running heli-ski tours during this weekend so we can get up to the very top (and take a ride in a helicopter!!) and ski/board the huge 14km downhill course. The good thing about the Tsugaike heli-ski is that it caters for all levels of skiier/boarder - not just the super advanced! !